Prof. Rist and Prof. Müller meet Prof.Masoodian at Aalto University in Helsinki. It was agreed to establish a staff-exchange under the umbrella of the EU-Erasmus program. Prof. Rist presents the contribution Illustrating Energy Related Properties of Buildings Using an Interactive 3D-InfoKit at the conference Sustainability in Energy and Buildings (SEB'16) , wheld in Torino, Italy. Guest stay of Ida Buchwald at Waikato University. She works on temporal visualizations of energy consumption loads. 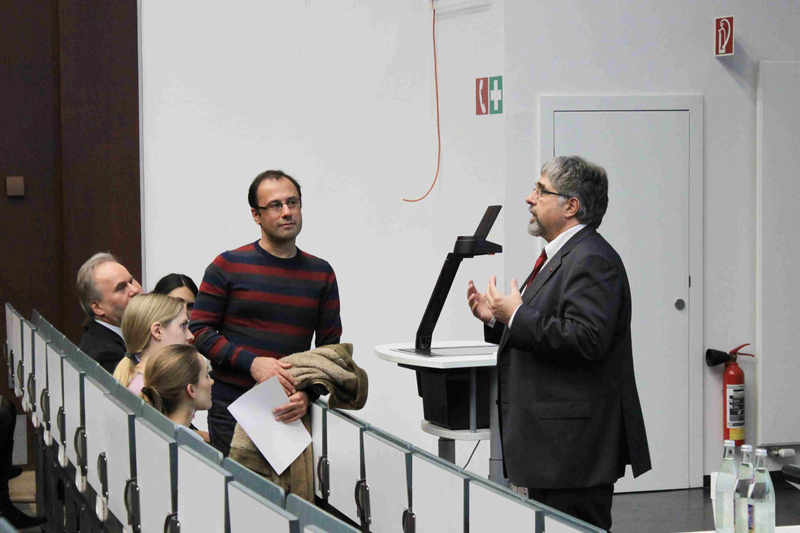 Prof. Masoodian is visiting Hochschule Augsburg and the Universität Augsburg. 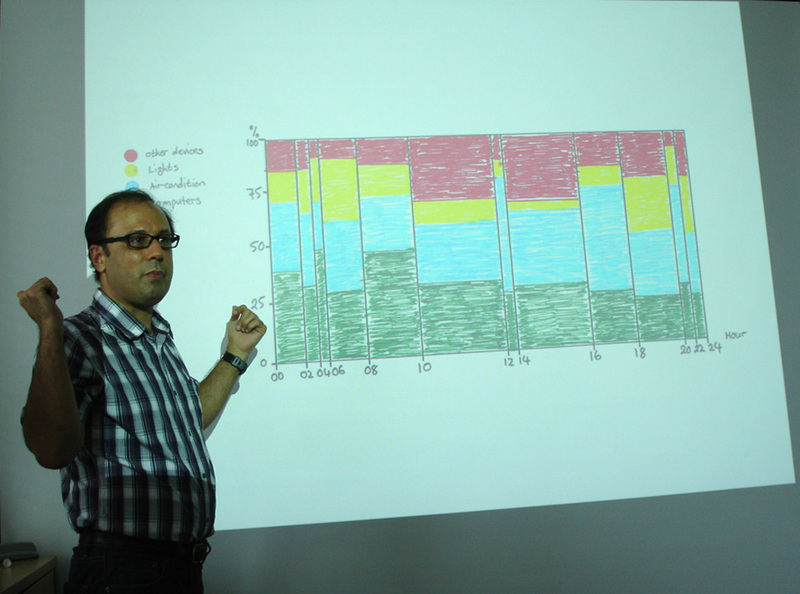 During the visit he gave a guest lecture on Information Visualization. Ida Buchwald from Universität Augsburg is visiting the Waikato University. Together with Prof. Masoodian she will conduct work in the area of energy-data visualization. The submission Illustrating Energy Related Properties of Buildings Using an Interactive 3D-InfoKit has been accepted for publication at the international conference Sustainability in Energy and Buildings (SEB-16) The work will be presented in September in Turin, Italy. By the end of June the financial support through BMBF ends. However, the reserach cooperation between the IT4SE partners continues. Preparation of a paper on the 3D-Infokit - a learning software in the area of energiy-efficient buildings. Prof. Elisabeth André and Prof. Thomas Rist are visiting the University of Waikato. 17. IT4SE Workshop on 18. Feb. at the Univ. of Waikato. A user study on the 3D-Infokit has been conducted. The 3D-Infokit is meant as a training tool that increases the players' intrinsic motivation to save energy and if players enjoy the effort of saving energy and persist in doing so after the game is over. The study was to shed led on to what extend the tool positively affect the users' motivation, and whether it support users in achieving their information needs and desired learning outcomes in the energy domain. The it4se partners submitted a proposal for a third FSEA workshop to be held in conjunction with AVI 2016. Scope of the FSEA 2016 workshop has been broadened towards sustainability, it's entitled “Fostering Sustainability through Effective Applications”. 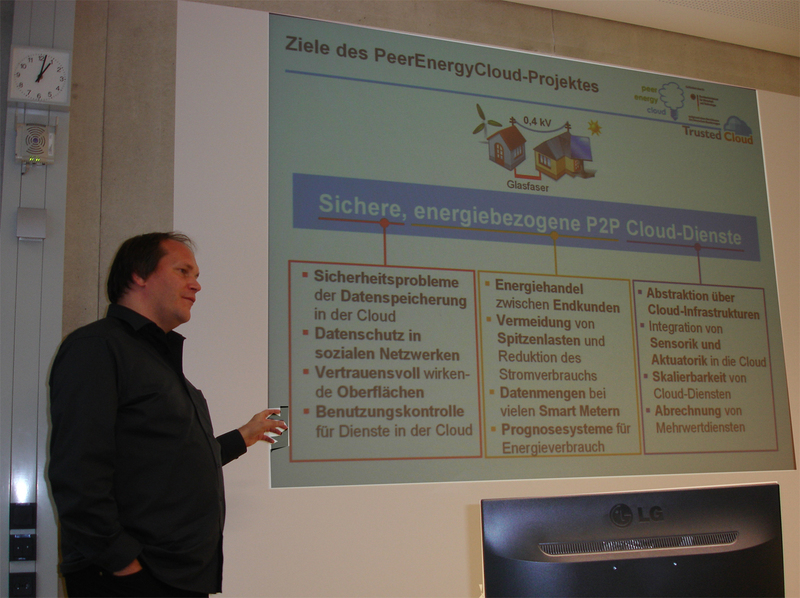 Joris Suppers (Energy Informatics Group, Waikato University) is guest at Universität Augsburg. 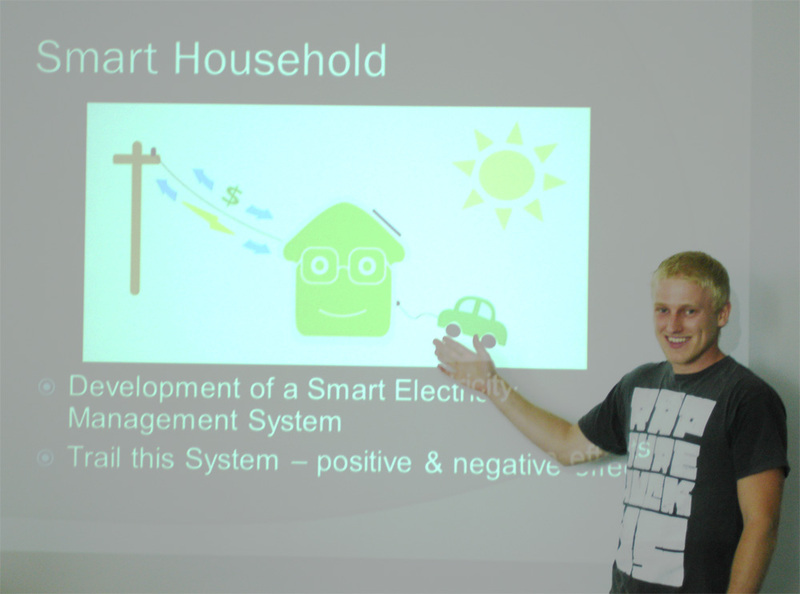 His research focus is on interactive information graphics concerning solar home power systems. A prototype of an interactive 3D-Infokit has been completed. The 3D-Infokit is an alternative approach to classical information and learning materials. It allows non-expert users to access and experience in a playful way energy-related properties of buildings, construction materials, and building technologies. The Infokit is implemented on top of a popular 3D game engine (Unreal Engine 4, V.4.9) to facilitate its dissemination to a broad user group. Prof. Rist attends LEW-Hochschultag ENERGIE. 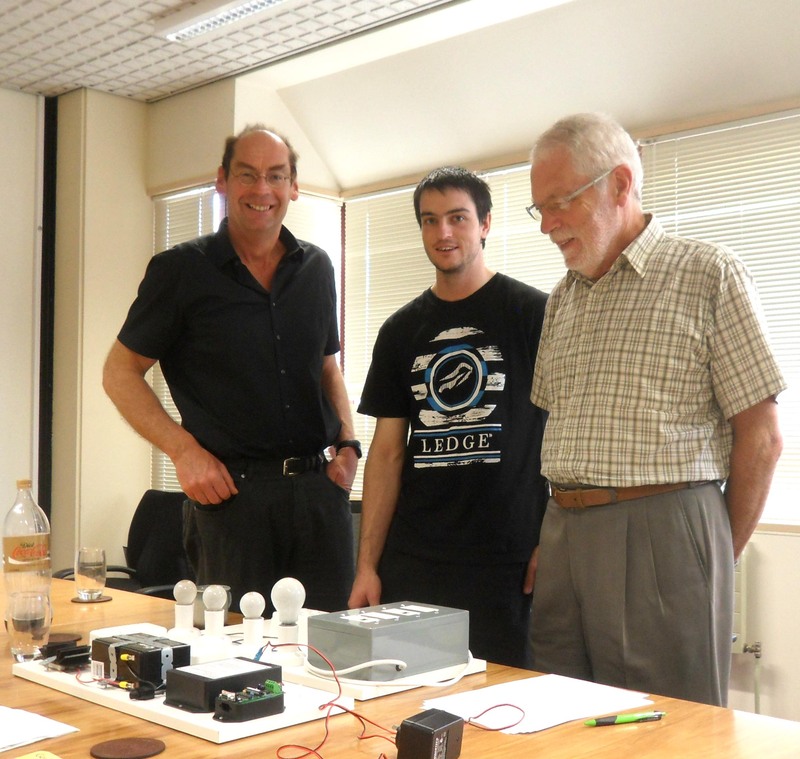 Prof. Rist is visiting the Madeira Interactive Technologies Institute (m-iti). He presents recent developments from the it4se project. The HCI-Group at m-iti engages in similar areas as it4se does. The International Federation for Information Processing (IFIP) launches the new Working Group 13.10 on Human-Centred Technology for Sustainability. The group will be chaired by Dr. Masoodian, Prof. Andrè serves as a vice-Chair, and Prof. Rist has been nominated as the WG Secretary. The new working group provides an excellent frame to continue the it4se research cooperation. In addition, it opens the door for additional international partners to join. Dr. Masoodian is visiting Hochschule Augsburg and the Universität Augsburg. 16. IT4SE Workshop on 18. November at Hochschule Augsburg. Martin Willam (from HSA) is guest at University of Waikato. Together with Dr. Masoodian he works on the project "3D-Visualisation of energy-related properties of buildings ". Steffen Wendzel is editor of a Special Issue on Security, Privacy and Reliability of Smart Buildings for the Journal of Universal Computer Science (J.UCS). Submission deadline is 19. June 2016, for further information see the Call for Papers . The article: Rist T. and Müller J.: Gamification schafft Bewusstsein zum verantwortungsvollen Umgang mit Energie: Arbeitsergebnisse aus den Projekten IT4SE und e-transform. appears in the 2015 Research Report of Hochschule Augsburg. Dr. Masoodian spends part of his at Hochschule Augsburg and Universität Augsburg. 15. 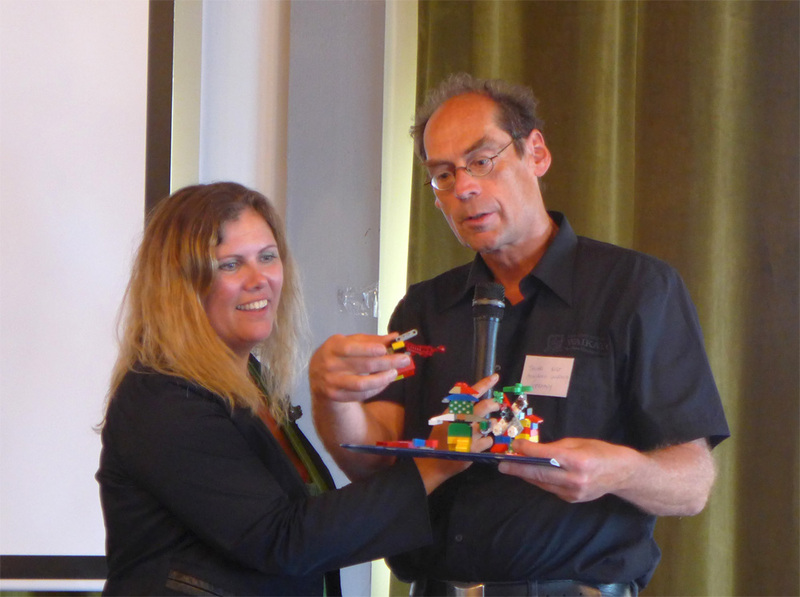 IT4SE-Workshop 22.Sept. 2015 at the Univ. of Augsburg. Reflection on the 2. FSEA Workshop in Bamberg. Initiated by Dr. Masoodian (Univ. of Waikato) the it4se project partner submit a proposal for a new working group on Human-Centred Technology for Sustainability to the International Federation for Information Processing (IFIP). Dr. Masoodian visits Hochschule Augsburg and Universität Augsburg. Dr. Masoodian and Prof. André present their joint paper "Visualization Support for Comparing Energy Consumption Data" at the 19th International Conference on Information Visualisation in Barcelona. The 14. IT4SE-Workshop took place on 14. July 2015 at the Universitätof Applied Sciences Augsburg. The partners report on their recent activities. A further main topic is the planning of the 2. FSEA workshop which will take place on September 15. in Bamberg in conjuction with the INTERACT conference. The 13. IT4SE Workshop was held on 23. Feb. It took place at the Univ. of Waikato. 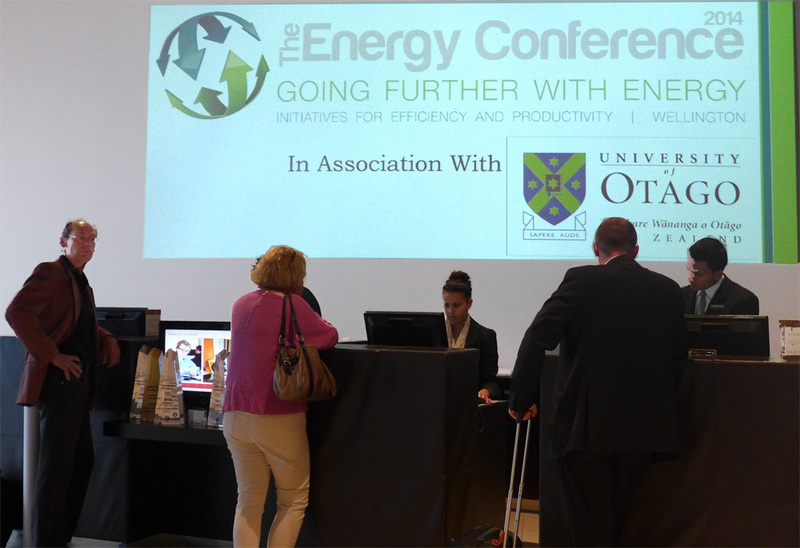 The IT4SE partners attended the Sustainability Symposium of the Univ. of Waikato. 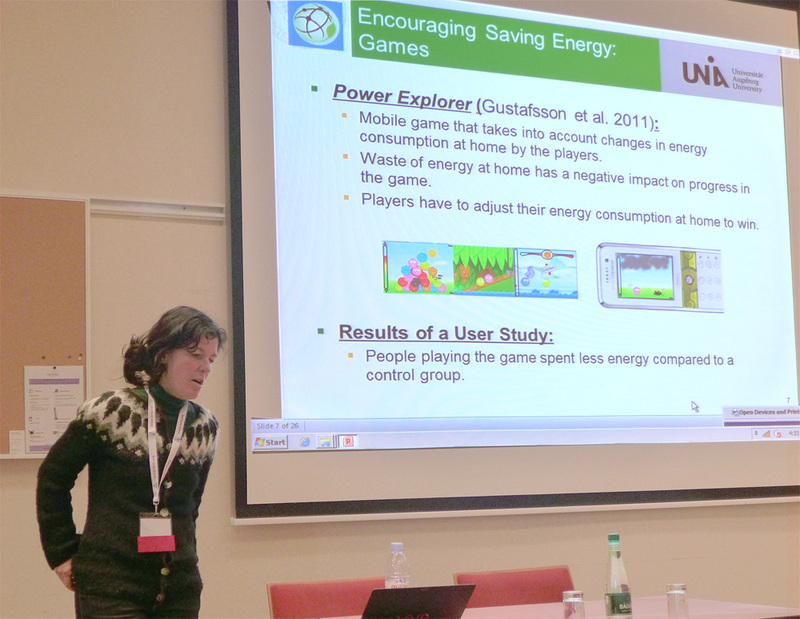 Prof. Rist gave a presentation on "Interactive visualisation of energy-related data". Preparation of a workshop proposal for the INTERACT 2015 conference. Prof. Rist meets with colleagues from the faculty of design and the faculty of architecture and civil engineering to exchange ideas on energy-related themes. It is planned to launch a project concerned with 3D-visualisation in the context of the Visioneum in Königsbrunn. Mathias Mahurin releases an extended version of the tool for interactive visualization of energy-related data. The 12. IT4SE-Workshop took place on 18. Nov. 2014 at the Universität Augsburg. 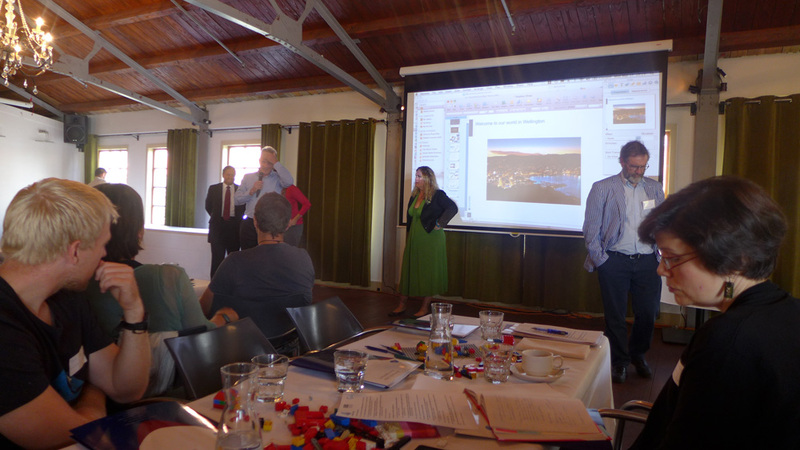 The partners report on their recent activities and make plans for 2015. Among the list of planned 2015 activities are the preparation of an INTERACT 2015 workshop proposal, a contribution to the Sustainability Symposium at the University of Waikato, the Special Issue Project, and further publications. Prof. Rist presents the IT4SE research cooperation to partner universities in England. Hochschule Augsburg is partner of a consortium that plans to erect an "Energy+ building" in the town of Königsbrunn. This will be an excellent opportunity for IT4SE to exploit some of the project outcomes in the area of energy data visualization. The annual research report of Hochschule Augsburg has been published. It includes a contribution on IT4SE activities: "Ansätze zur Visualisierung von Energiedaten - Arbeitsergebnisse der deutsch-neuseeländischen Forschungskooperation IT4SE". Lead by Dr.Masoodian the project partners submitted to the journal "Interacting with Computers" a proposal for a Special Issue on ""Visual interfaces for Energy Applications". Mathias Mahurin and Christian Jung start a internship under the umbrella of IT4SE to work on energy data visualization. 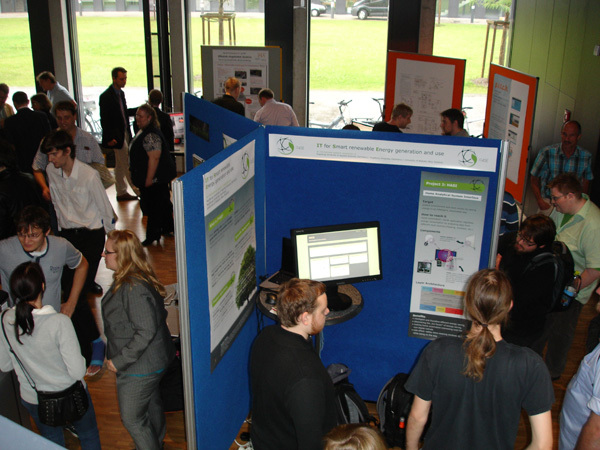 On July 2. the computer science faculty of Hochschule Augsburg opens the doors to the public to present project outcomes and research activities. 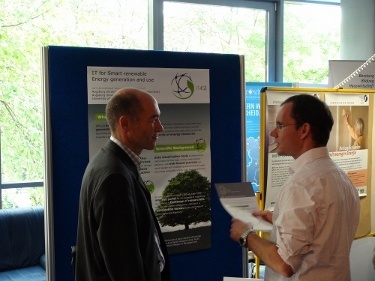 IT4SE is represented with an own booth and demos a tool for the interactive visualisation of energy-related data. Dr. Masoodian, Paul Monigatti, and Joris Suppers vfrom the University of Waikato are visitors at Hochschule Augsburg and Universität Augsburg. The 11. 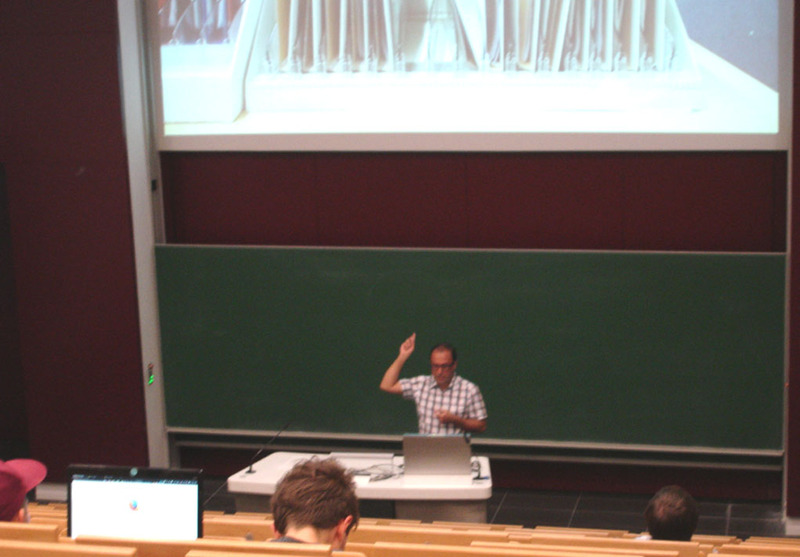 IT4SE-Workshop was held at Universität Augsburg on June 6. 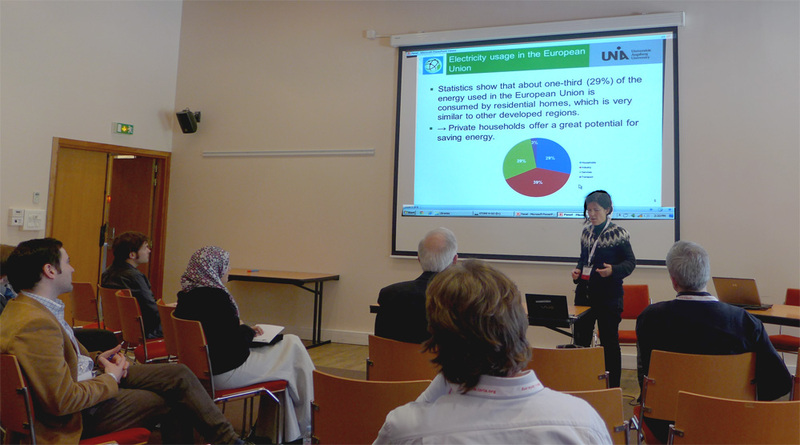 Yoshiki Nakashima from NEC gave a talk on "Smart Energy Research Laboratories at NEC". 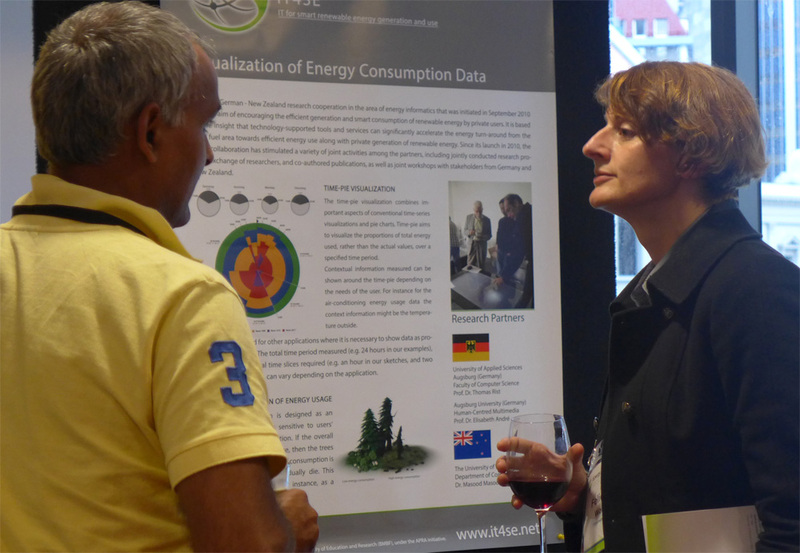 Further themes of the workshop are a review of the recent FSEA-Workshop held at AVI 2014, and possibilities for a Special Issues on the visualisation of energy-related data. 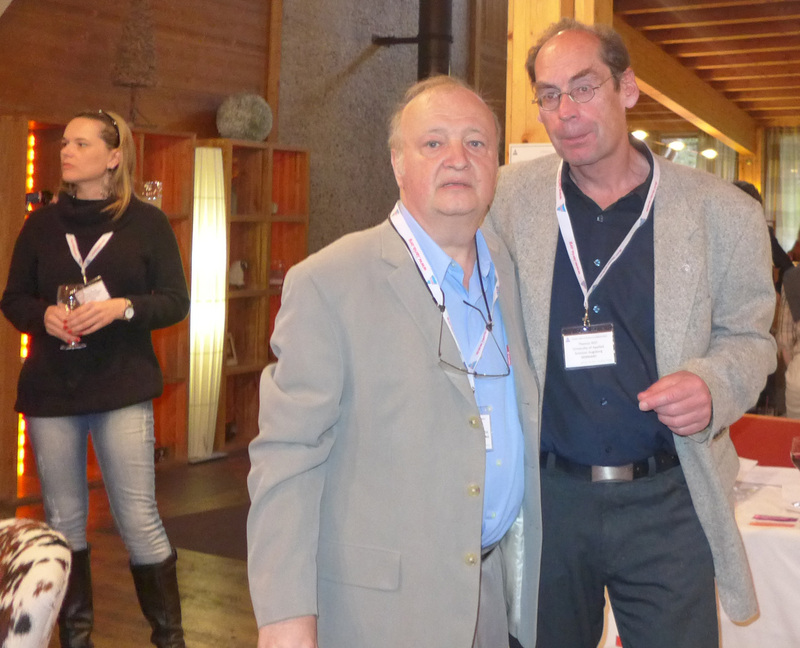 Prof. Rist attends the "5. BMBF-Informations- und Vernetzungstage Deutsche F&E-Präsenz in Asien / Ozeanien" in Bonn. In context of a semester project students of HSA started work on development of an adventure game which addresses energy saving in future. UniA celebrated the tenth anniversary of the department of computer science on 20th May 2014. 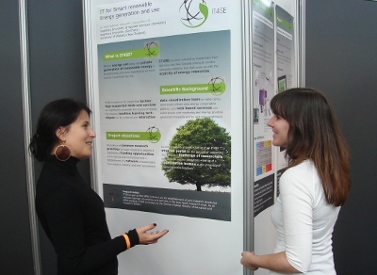 Projects were presented to the public which also included a poster of IT4SE. Furthermore visitors had a change to chat with social robots Alice and Zeno about IT4SE. Prof. Rist at 3. 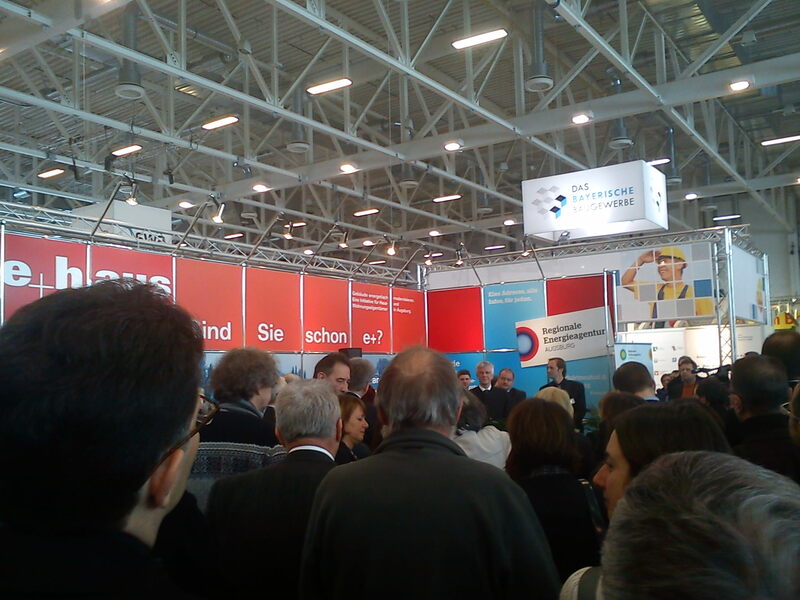 Augsburger Technologietransfer-Kongress . He presents selected work from IT4SE research cooperation on the topic: Efficient use of resources in the ICT domain. 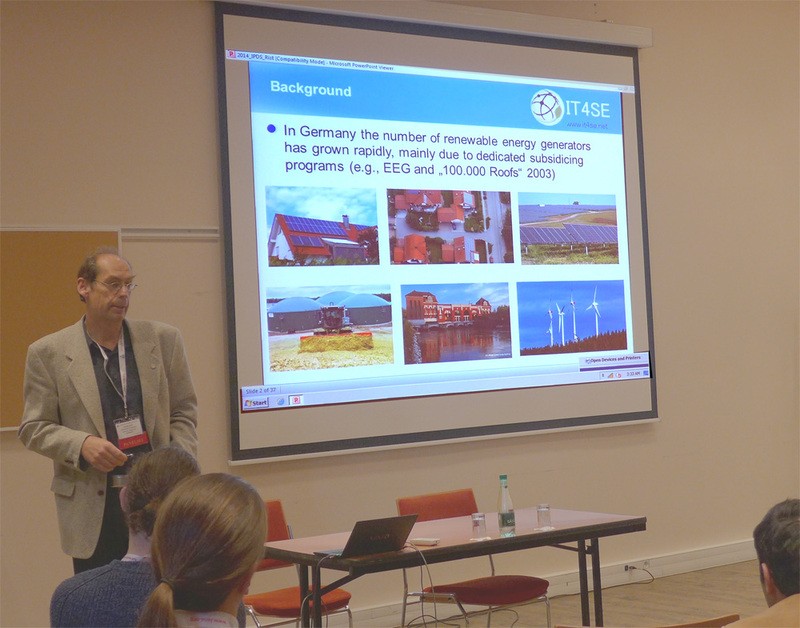 IT4SE is represented with two papers and an expert panel at ENERGY 2014 (The Fourth International Conference on Smart Grids, Green Communications and IT Energy-aware Technologies, 20.-24. 4. 2014) in Chamonix, France. Our innovate data visualization techniques "time-pie" and "time-stack" where compared and evaluated in context of a bachelor thesis on "eyetracking for analysis of data visualization". A scientific interpretation of the results was written in parallel and submitted to a conference (review in progress). Time-stack was implemented as additional visualization mode to our Android app for visualizing measured sensor data. Screenshot of Android app showing TimePie (left) and TimeStack (right) for visualization of energy data. Our publication "Evaluating the Effectiveness of Visualizations for Comparing Energy Usage Data" was accepted at AVI workshop on "Smart Energy Applications". 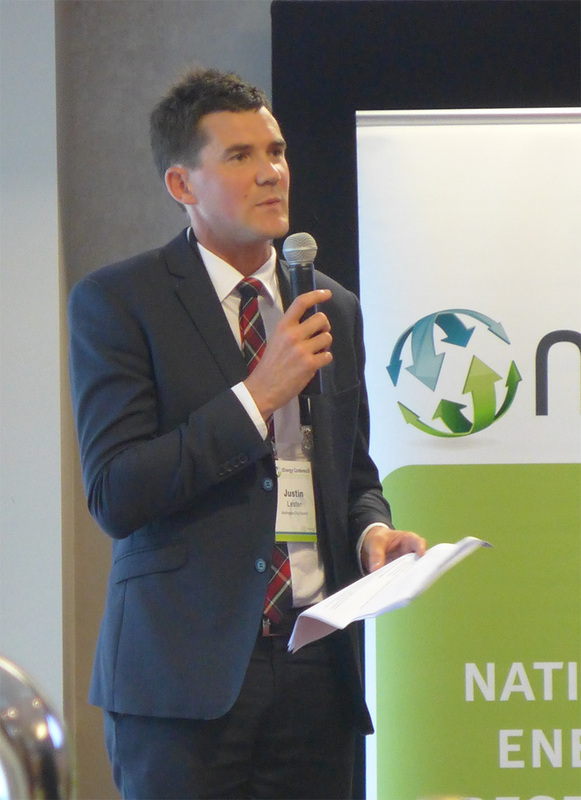 IT4SE at the NZ national Energy Conference (19.-21. 3. 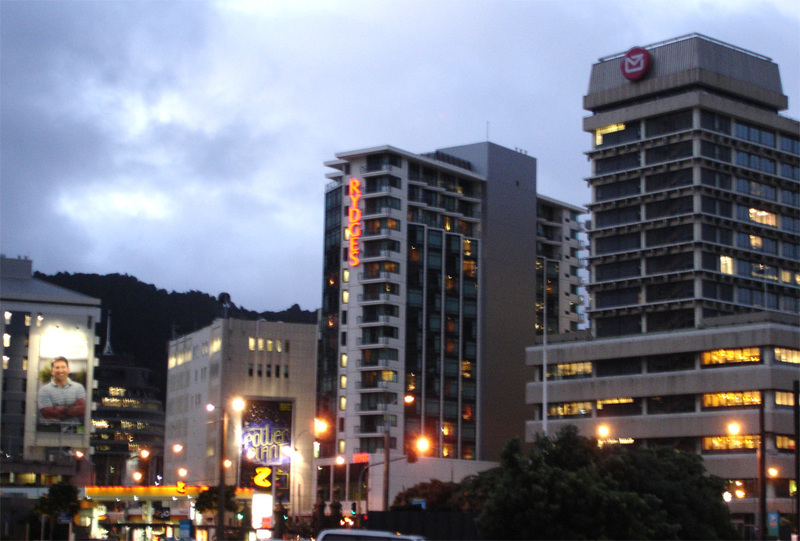 2014) at Rydges Hotel in Wellington. 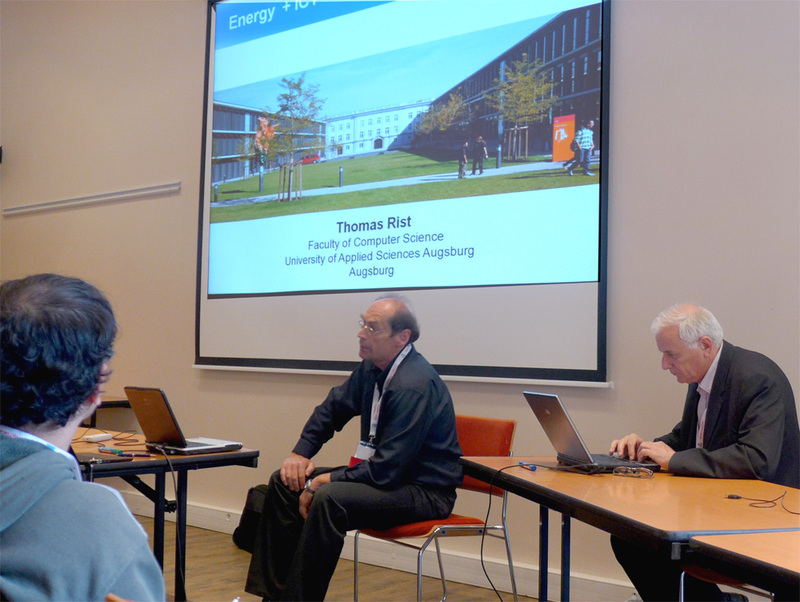 IT4SE is represented by Prof. André (Universität Augsburg), Prof. Rist (Hochschule Augsburg) and Juris Suppers (The University of Waikato). Prof. Elisabeth André and Prof. Thomas Rist participate in the International Workshop on Demand Side Management of the International Energy Agencyʼs Demand Side Management Implementing Agreement (18. March 2014 in Wellington). 10. IT4SE Workshop on 21. Feb. at the Univ. of Waikato. 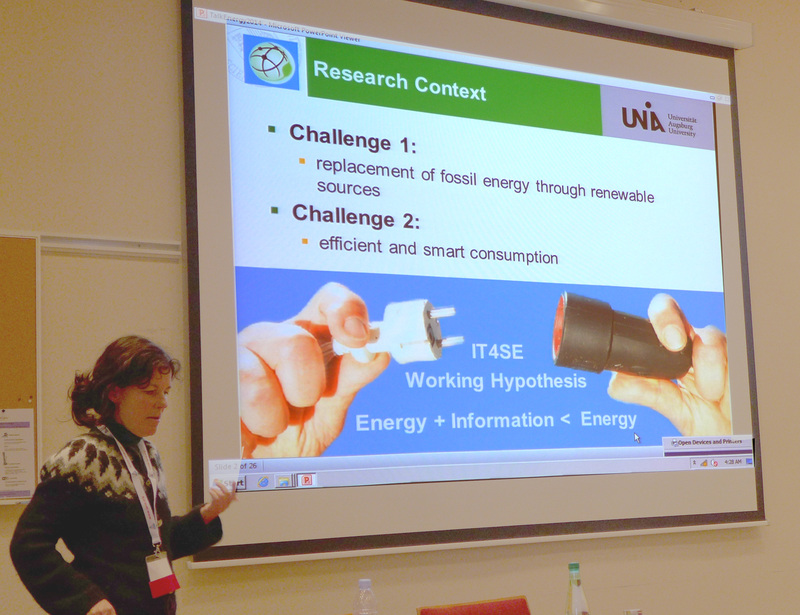 A workshop proposal on "Fostering Smart Energy Applications through Advanced Visual Interfaces (FSEA)" has been submitted to the AVI 2014 conference. It got accepted and will be held on May 27 2014 in Como Italy. See the workshop web-site with the CFP for further information. 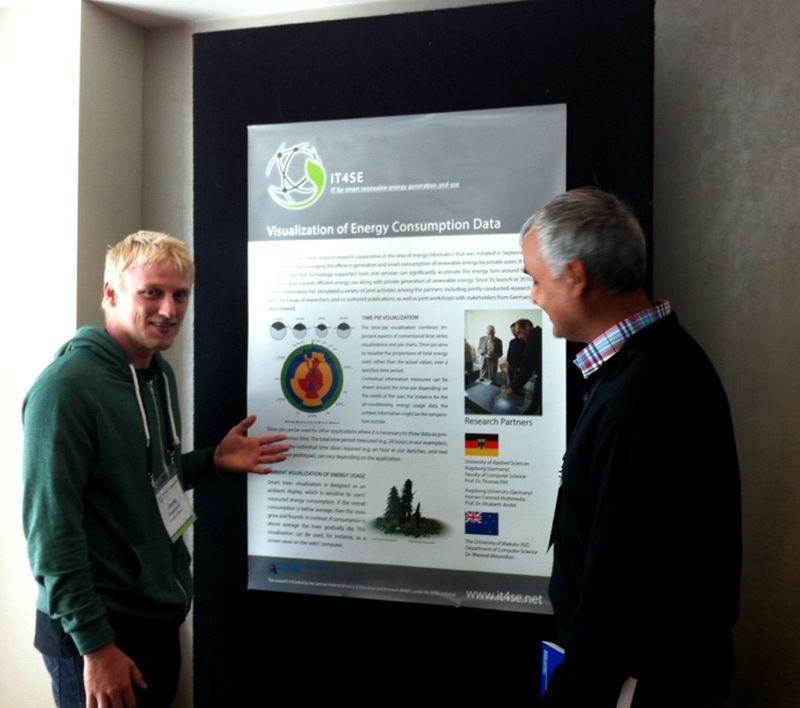 Preparation of a joint presence at Energy 2014 in Wellington (scheduled for March 2014). 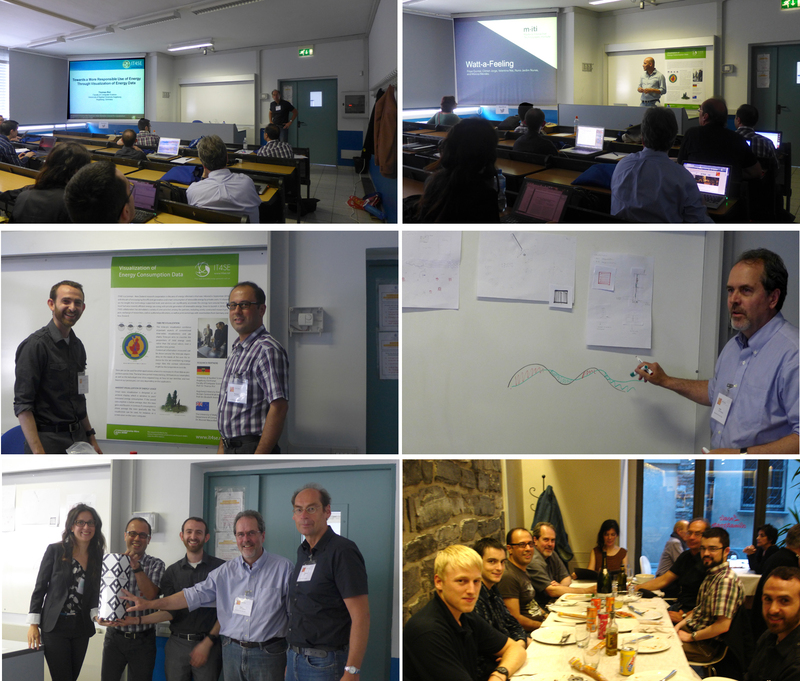 The 9th IT4SE workshop was successfully held at Augsburg University. Upcoming project work, publications and future plans where discussed during the meeting. Birgit Endraß and René Bühling meet with Masood Masoodian at Waikato University for further planning of projects, student work and publications. 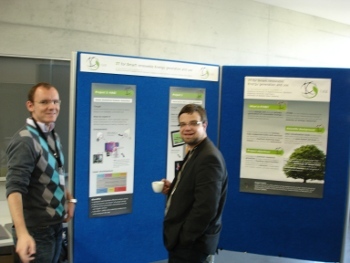 On the occasion of the inauguration of the computer science building the IT4SE project is represented with an information stand. Prof Rist joins the working group of Prof. Bauer for a visit of the Energy Plus Building in Münnerstadt. Among the visitors is also a representative of the Federal Ministry of Transport, Building and Urban Development (BMVBS). Prof. Rist attends the event "6. Hochschultag ENERGIE" organised by Lechwerke AG. 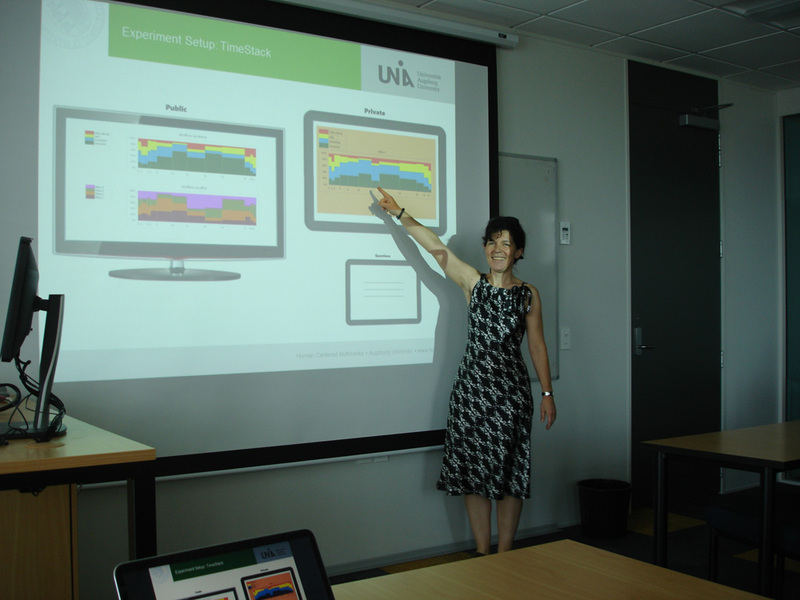 Partner UniA starts work on the use of eyetracking technology to understand users' perception of energy feedback visualization. The article "Fit for solar power supply" appears in the research report in 2013, the University of Augsburg. Two new student projects started at UniA. Björn aims to extend our previous work on lab energy recording towards the support of multiple devices. Alexander is working within a Bachelor project on extending the graphical frontend components for data visualization. Reconstruction of the weather project done by students	of HSA was finished and published online. The new version features interface improvements and a technical remodeling based on cross-device compatible HTML5. Furthermore the ceilometer sensor was integrated which supports the detection of cloud height and density. The 8. IT4SE-Workshop was held on July 3. in conjunction with the open research day of the computer science department at Hochschule Augsburg. Dr. Birgit Endraß (UniA) presented our research paper on Time Pie visualization at iV2013 - 17th International Conference on Information Visualisation at the University of London, UK. IT4SE was presented at HSA to industry representatives for introducing this research area as topic for future cooperations. Prof. Rist attends the event: "4. BMBF-Informations- und Vernetzungstage Deutsche F&E-Präsenz in Asien / Ozeanien" in Bonn. 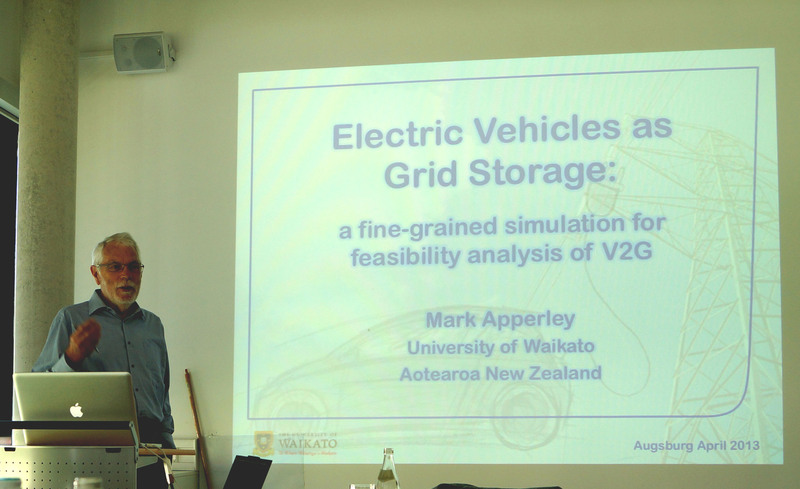 Prof. Dr. Mark Apperley visits Augsburg. 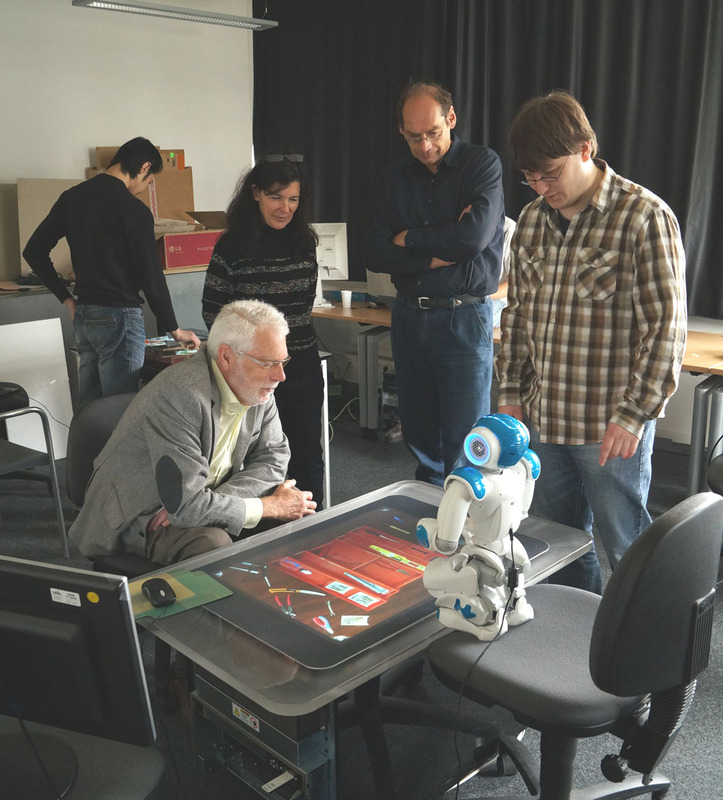 During his visit he gave a lecture on HCI at HSA and participated in a "lab tour" at Augsburg University. Mark Apperley at the WZU (Wissenschaftszentrum Umwelt der Uni. Augsburg) diving a talk on: "Electric Vehicles as Grid Storage. 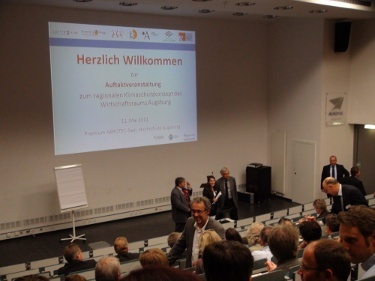 A fine-grained simulation for feasibility analysis of V2G"
Prof. Rist attends "Wissenschaftsdialog Energie" in Augsburg. René Bühling appointed as new IT4SE-co-ordinator. The former co-ordinator, Steffen Wendzel, takes on new tasks but will continue to contribute to IT4SE. Kick-off of several new projects thematically related to the IT4SE research cooperation. 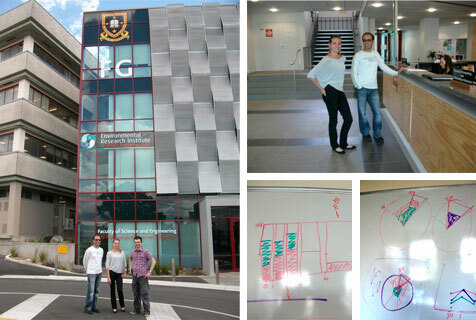 Prof. Dr. Elisabeth André and Prof. Dr. Thomas Rist visit the University of Waikato. 7. IT4SE Workshop on 19. Feb. at the Univ. of Waikato. IT4SE enters the consolidation phase (2013-2014). 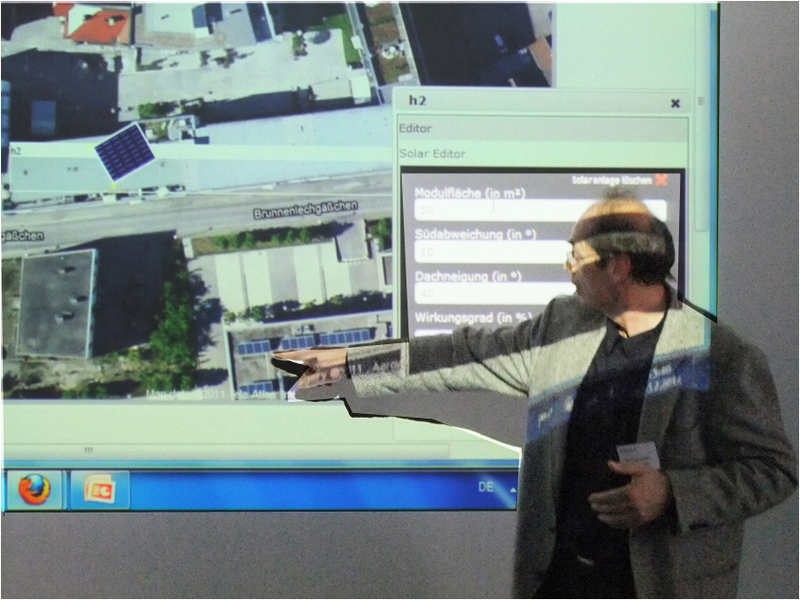 Prof. Rist presents two simulation systems MicroGrid and Virtuelles Karfatwerk at the WZU. 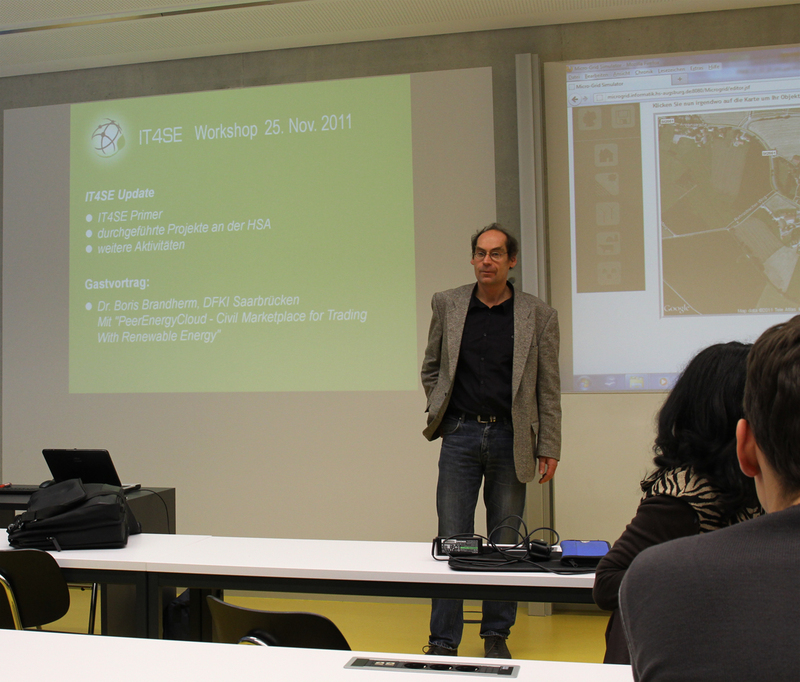 On Nov, 30., the 6th IT4SE Workshop took place at the University of Applied Sciences in Augsburg. We will present an IT4SE paper on building automation security at the 2nd Workshop on Security of Systems and Software Resilience. Prof. Rist became a member of the Wissenschaftszentrum Umwelt (WZU) of the Universität Augsburg. Dr. Masoodian visits HSA and the Univ. of Augsburg and attends a meeting of the Wissenschaftszentrums Umwelt (WZU). 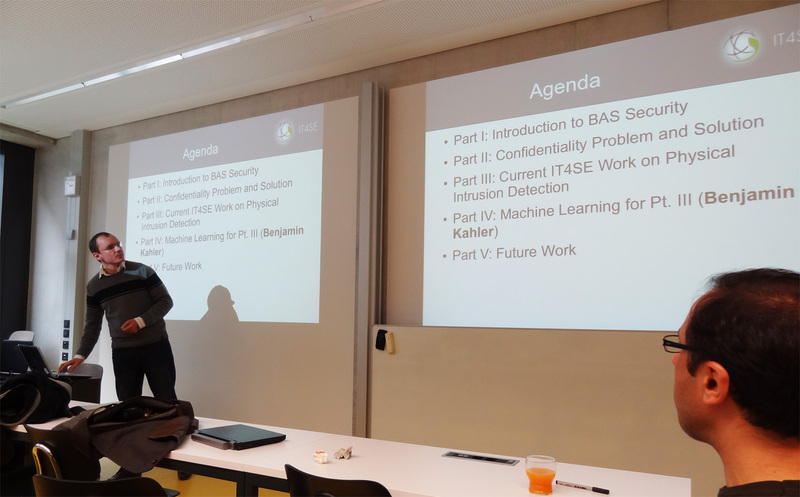 S. Wendzel, B. Kahler, T. Rist: Covert Channels and their Prevention in Building Automation Protocols -- A Prototype Exemplified Using BACnet, in Proc. 2nd Workshop on Security of Systems and Software Resilience, IEEE, 2012 (to appear). On Oct-05, an internal IT4SE workshop was held at the University of Augsburg together with the partners from the University of Waikato and the Augsburg University of Applied Sciences. Again, we were able to submit a paper to a workshop in the area of building automation security. The research work in the area of building automation usability continues. The submission of a journal paper is scheduled for November. Continuing research work in the area of building automation security lead to the submission of a new research paper to an international security conference. Two additional research papers as well as two technical reports are currently in progress. The upcoming papers and technical reports are about to get submitted to conferences/workshops and to get published online, respectively. 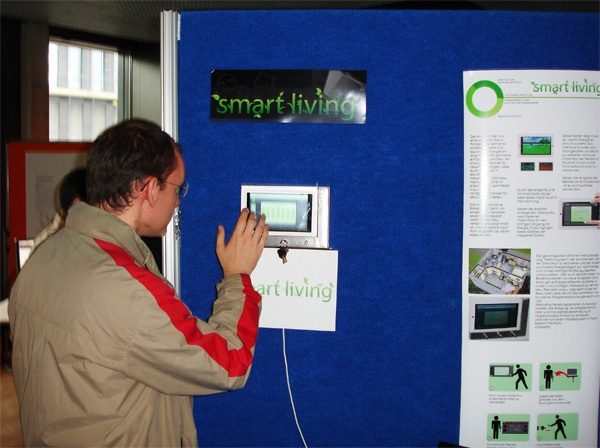 A new publication on Next Generation Home Automation Systems was presented at the Usability Day X in Dornbirn, Austria. 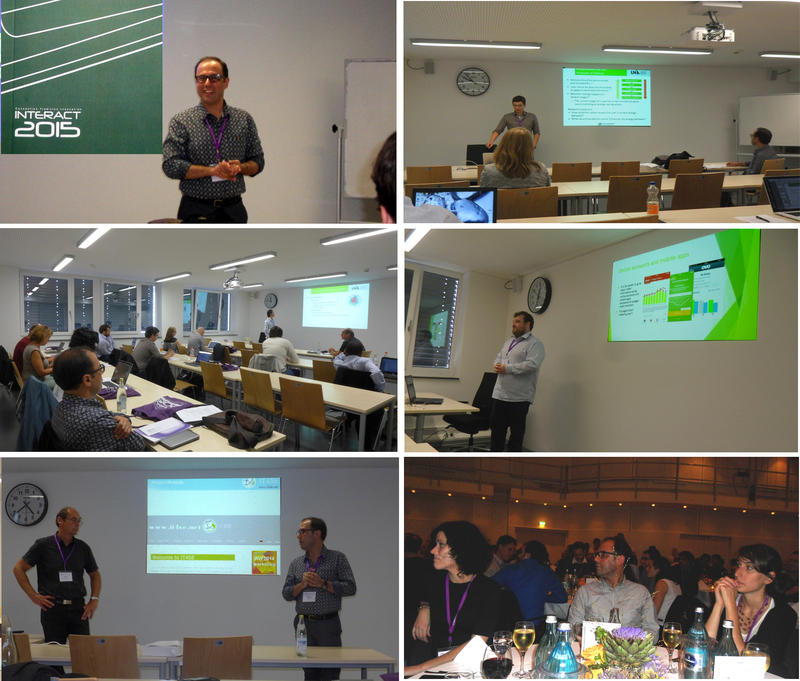 The Fifth IT4SE Workshop was held at the University of Applied Sciences in Augsburg. We are busy working on the development of an improved secure building automation middleware and a simulation tool for virtual power plants. Additionally, the research work on a new paper for BAS forensics is about to get finalized. 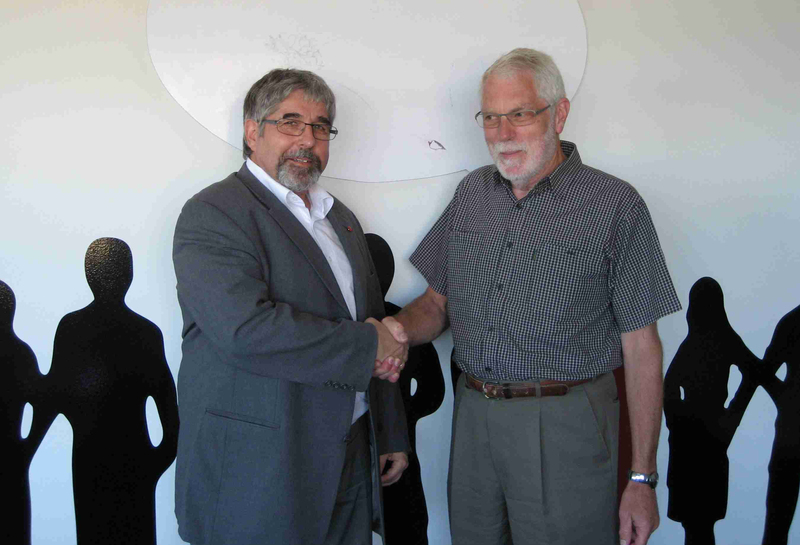 IT4SE project partners Hochschule Augsburg and The University of Waikato sign a Memorandum of Understanding. Both partners intend to deepen the IT4SE research cooperation. We currently work on creating a catalogue containing security requirements for building automation systems (BAS). The catalogue will be published in a few months. In parallel we use these requirements to improve our existing middleware solutions (USEM and HASI, which are optimized for low-energy consumption as well as for usability and access control) to provide additional security and privacy protecting features. Additionally, we write on a publication in the context of Usability in building automation systems with the goal to ease a forensic analysis after physical intrusions. 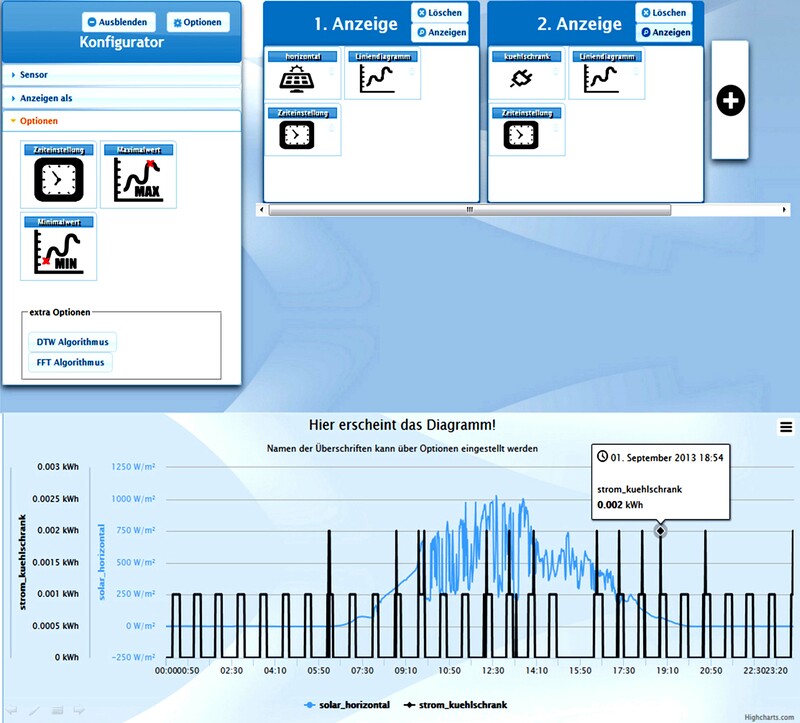 We continue our development work on a simulator for virtual power plants. The simulator will provide local authorities a means to simulate investments for renewable energies in their towns. The development work on the Microgrid Simulator continues as well. Different new projects were initiated in March in the area of virtual power plants as well as secure building automation. 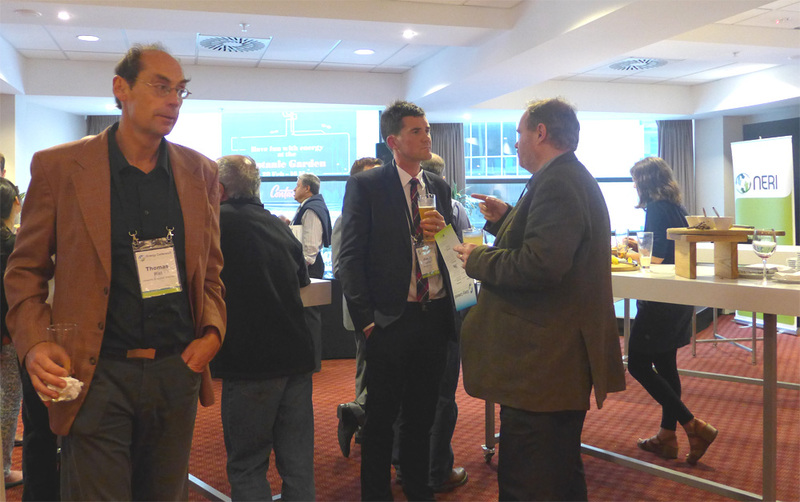 Additionally, Mr. Wendzel visited the A3 event on 'virtual power plants'. 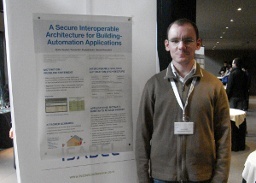 Steffen Wendzel gave a talk at the Augsburg Linux-Infotag about secure building automation. The presentation slides are available here. The 4th IT4SE workshop was be held on February, 21. 2012 at the University of Waikato. We currently work on security research improvements in the area of home automation forensics based on our previous security work. Prof. Rist (Augsburg University of Applied Sciences) and Prof. André (University of Augsburg) visited the University of Waikato in Mid-February. 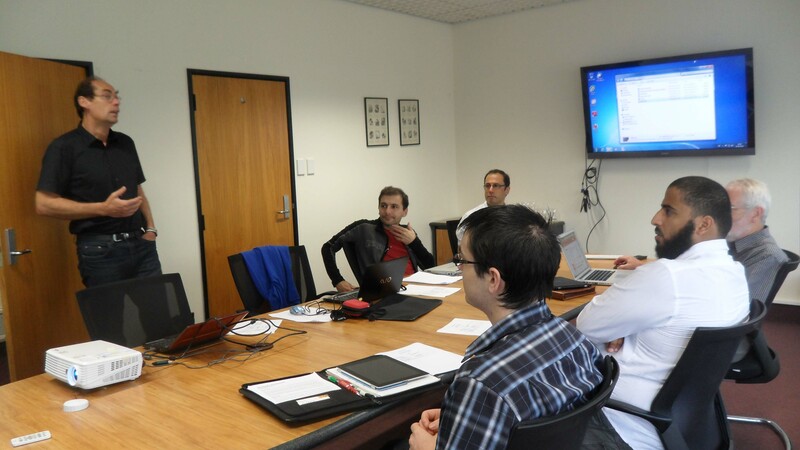 Main aspect of the visit was the 4th IT4SE workshop on February 21 at the University of Waikato. 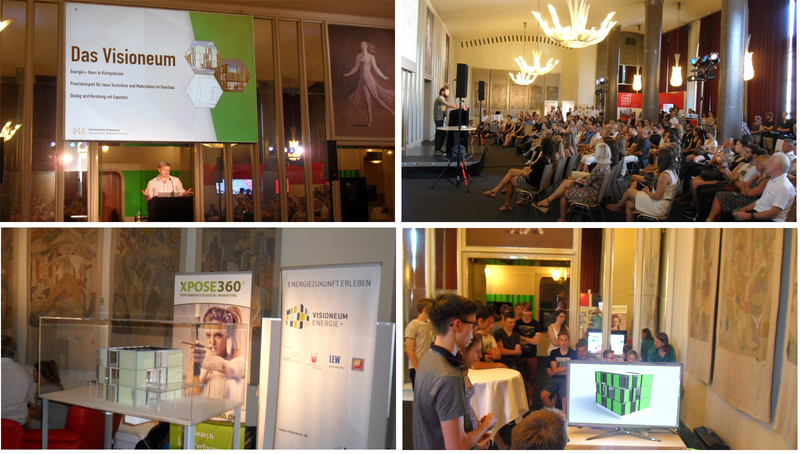 Additionally, the IT4SE project took part on the A3 event at the ``Immobilientage'' in Augsburg (cf. photo). The collaborative research focus of IT4SE is currently on usability improvements in the area of building automation security. An additional project was defined (and is now in the preparation phase) that aims on implementing architectural concepts for that research work. 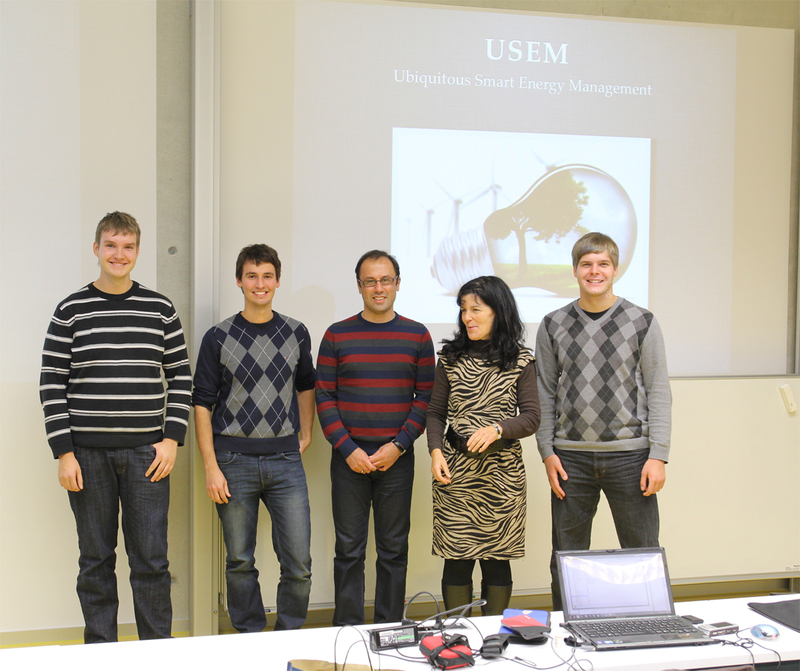 Additionally, a group to implement a virtual power plant software project was initiated for the summer term 2012 in Augsburg. 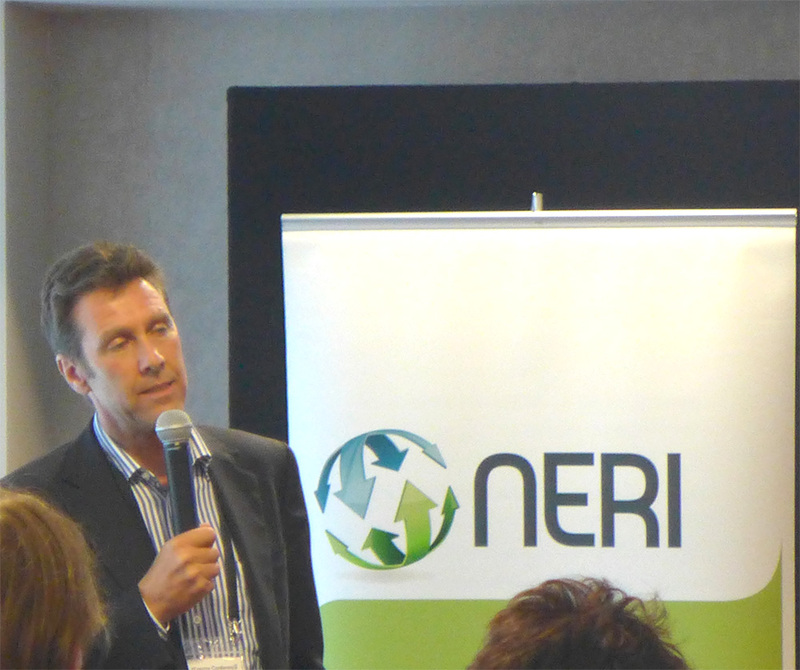 Steffen Wendzel visited the project partner in New Zealand within the first two weeks of January. The main research aspect currently lies in the area of usability in the context of building automation security (a result of the visit). Prof. Dr. Bayer, vice president of the Augsburg University of Applied Sciences, visited the project partner in New Zealand. A main aspect of the visit was the meeting with Prof. Dr. Mark Apperly, currently Pro Vice-Chanellor of Research at the University of Waikato. 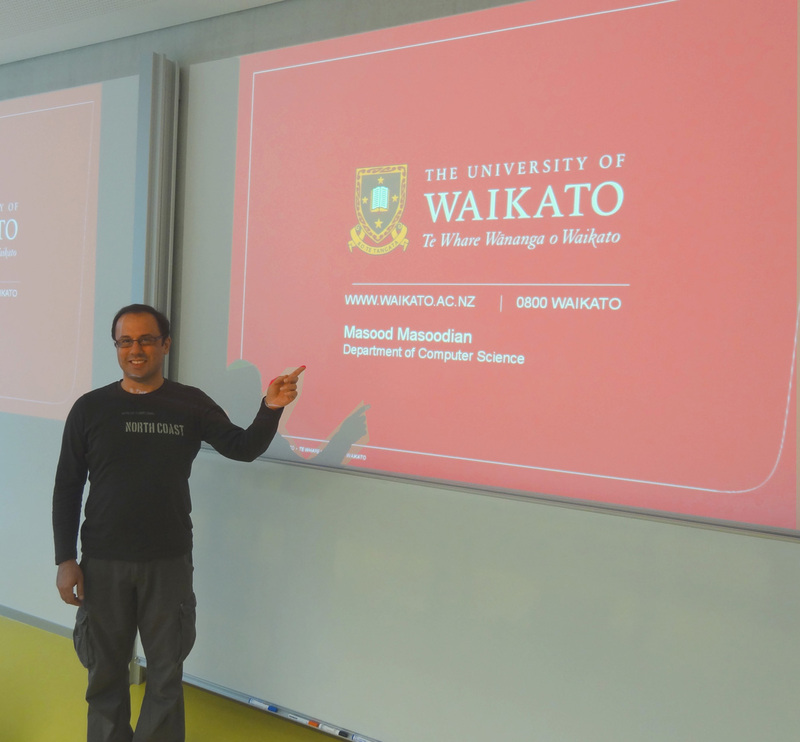 In December and January, Mr. Wendzel travels to the University of Waikato to evaluate possible new scientific cooperations for IT4SE and to continue the work with the local partners on existing IT4SE research in the area of building automation. 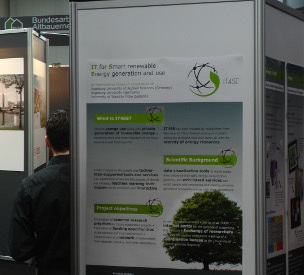 On December 5, 2011, Prof. Rist will speak about the IT4SE project at the A3 Wissenschaftsdialog Energie taking place at the University of Applied Sciences Augsburg, in building H2 room 140 at 2PM. Prof. Dr. Bayer introduced Dr. Masoodian to the students at the Go out! students information event at the Augsburg University of Applied Sciences. Dr. Masoodian gave tips for studying and doing an internship in New Zealand. The annual research report of the University of Applied Sciences in Augsburg contains a detailed article about work done within the IT4SE project (pp. 59-66). On the IT4SE projects sub-site you can find many new details about our research projects. Dr. Masoodian visited both German IT4SE project partners for multiple weeks. The IT4SE project presented a poster at the 4th International Symposium on Applied Sciences in Biomedical and Communication Technologies on our secure and inter-operable architecture for building automation aiming to enhance privacy protection for energy-related applications. Our paper can be found in the proceedings and the poster pdf file can be downloaded here. 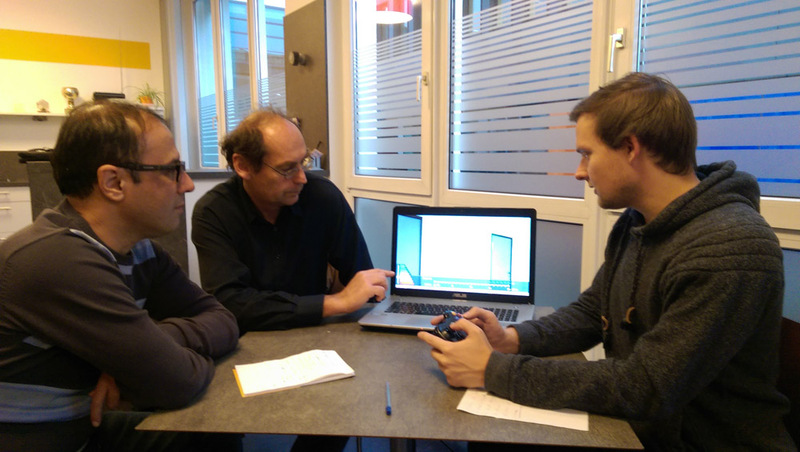 A lot of time was invested into a new research application for a IT4SE-related research project of the University of Applied Sciences in Augsburg and industrial partners. The University of Applied Sciences in Augsburg started to build a new building automation laboratory to which IT4SE contributes to since an important part of our research is based on building automation hardware. The IT4SE project contributed to the 2nd A3 climate protection conference on September 27 at the "Handwerkskammer für Schwaben" in Augsburg. The 3rd IT4SE workshop will take place at the University of Applied Sciences in Augsburg, Germany. Details are available here. A new IT4SE paper will appear in the proceedings of the 4th International Symposium on Applied Sciences in Biomedical and Communication Technologies. The paper focuses on a secure architecture to provide energy awareness-related applications a privacy protecting environment. 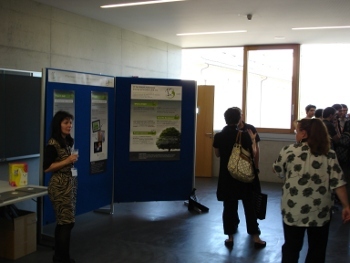 The ISABEL conference is taking place from Oct 26-29 and we will include a poster presentation by the IT4SE project. 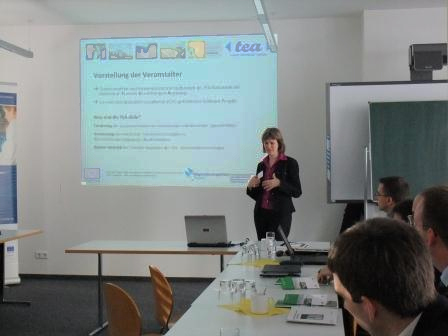 On 09/01/2011 an internal workshop was organized at the University of Augsburg with the project partners from the University of Waikato and Augsburg University of Applied Sciences. The workshop aimed to discuss the continuing plans for IT4SE, the exchange of scientific staff and the arrangement of a 3rd IT4SE workshop in November 2011. A new research student became part of the IT4SE project at Augsburg University of Applied Sciences. He will assist the project in the area of security research for building automation. Besides the continuing existing projects and the recoding of usage patterns for building automation, a lot of work was done by writing an application for a IT4SE-based research project. IT4SE booth at the event "Forschungsforum"
On July 21. the faculty of computer science organised the Forschungsforum, an open-door event at which ongoing research projects were presented. On July 20. 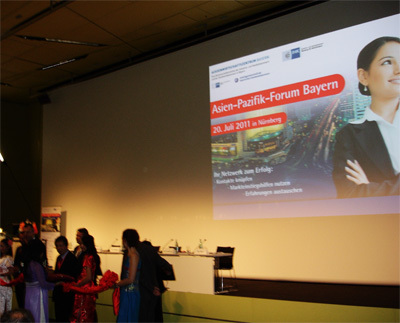 Thomas Rist and Steffen Wendzel met a representative of the New Zealand German Business Association Inc. at the Asien-Pazifik-Forum Bayern. The NZ team has released a youtube video of their system USEM (Ubiquitous Smart Energy Management). 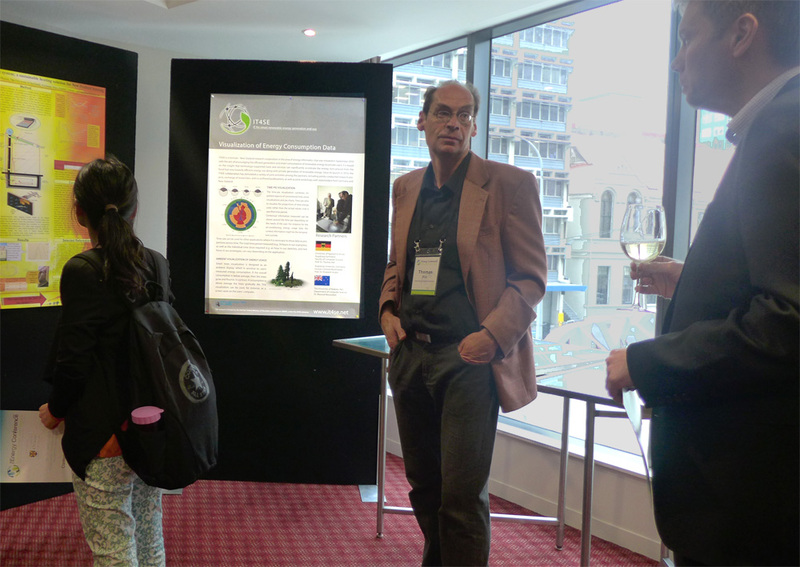 The research project was presented at the CHINZ conference 2011 in Waikato. 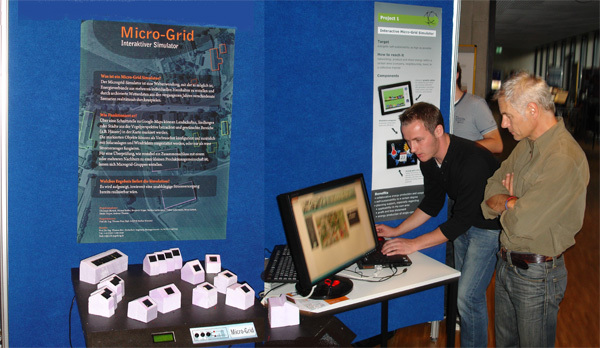 The student projects 'micro grid simulator' as well as 'home analytical system interface' (HASI) were presented at Augsburg University of Applied Sciences on June, 30. 2011. 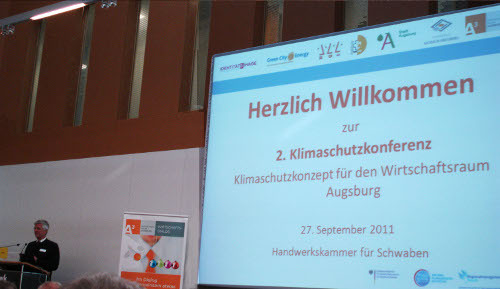 Thomas Rist, Steffen Wendzel, and Markus Lachenmayr visited the "1st A3 Klimaschutzkonferenz" on June, 7th 2011. Contributions where made to 3 workgroups in the area of research, marketing and event management for environmental protection. 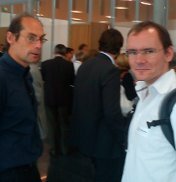 Mr Wendzel visited the networking event "die energieeffiziente Fabrik" organized by IHK Aschaffenburg in Alzenau, Germany. 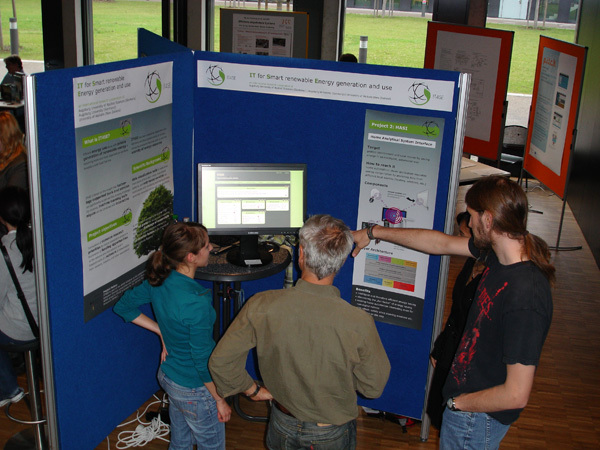 A poster presentation was given on May, 20th at the Usability Day IX in Dornbirn, Austria. Additionally, a paper was published within the proc. of the UDay IX. 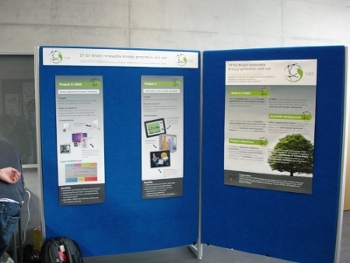 The IT4SE project contributed a poster presentation for the A3 event "Gestaltung eines Klimaschutzkonzepts für den Wirtschaftsraum Augsburg". First posters/flyers of our projects can be found here. Additionally, there are new general IT4SE posters and flyers on the project overview site. 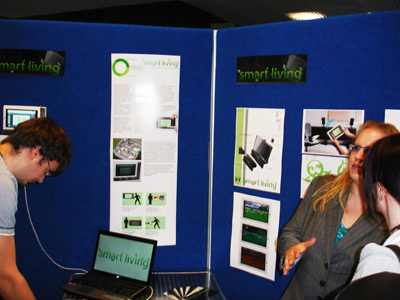 There are currently 3 student projects at Augsburg University of Applied Sciences as well as one student project between University of Augsburg and the University of Waikato in progress. The development process on the weather project lead by Prof. Dr. Beck at Augsburg University of Applied Sciences continues to build a better interface for related IT4SE projects. Learn more about the IT4SE projects. Mr. Wendzel additionally supports the lectures in environmental computer science of Prof. Dr. Scholz to supervise additional student projects in the context of IT4SE. 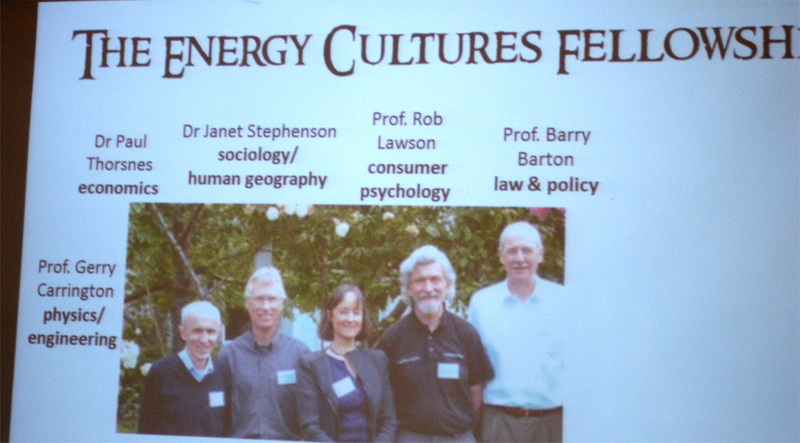 In February and March 2011, Prof. Dr. Rist and Prof. Dr. André visited the University of Waikato (hosted by Dr. Masoodian). 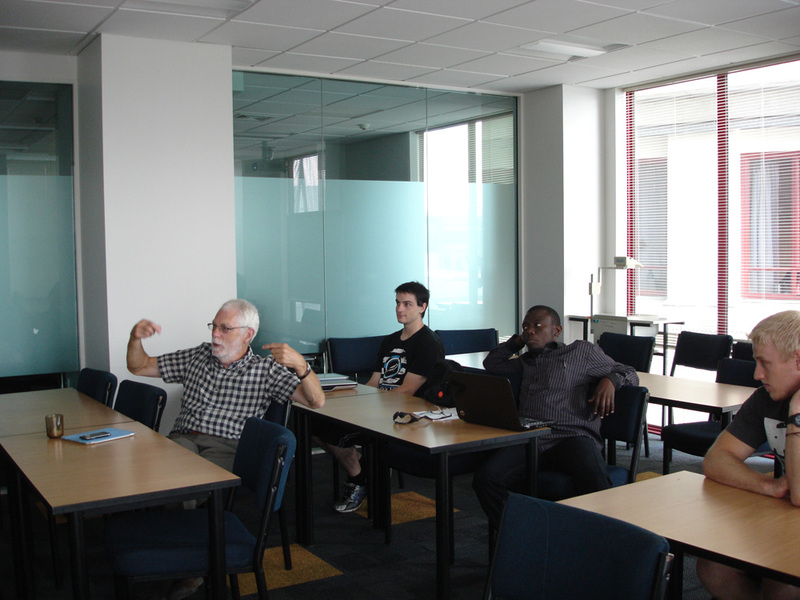 A second IT4SE workshop was held at the University of Waikato in February. 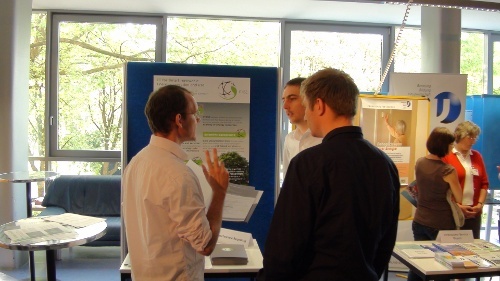 Three new IT4SE student projects where started at the Augsburg University of Applied Sciences in March 2011. 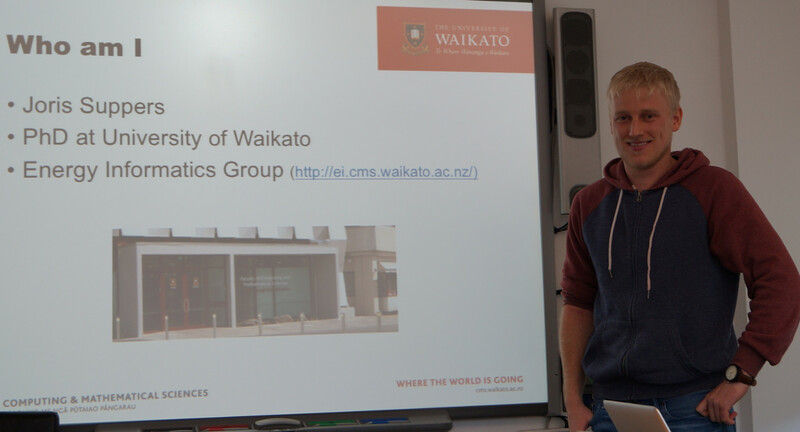 Additionally, three students from the University of Augsburg went to the University of Waikato and started to work on a long-term IT4SE research project there. An article in the Hakin9 magazine (German issue) was published about the security awareness in home automation and another article about the comparison of different home automation products was written for the "BusSysteme" magazine. In December 2010 and January 2011 a member of the IT4SE project at Augsburg University of Applied Sciences visited the project partner in New Zealand (the Computer Science Department of the University of Waikato). In this time, future projects for exchange students where defined and work was done on the current website. Within a collaboration, a technical report was written and will be finalized and published within the next weeks. In the framework of a Bachelors' Thesis, a lot of work was done on the new IT4SE portal website (will be online in a few weeks) with a special focus on design and usability. A number of student projects at Augsburg University of Applied Sciences where defined for the summer term. A workshop with external guests from industry was organized at University of Applied Sciences in Augsburg on December 7. 2010. About 20 guests attended to the workshop. 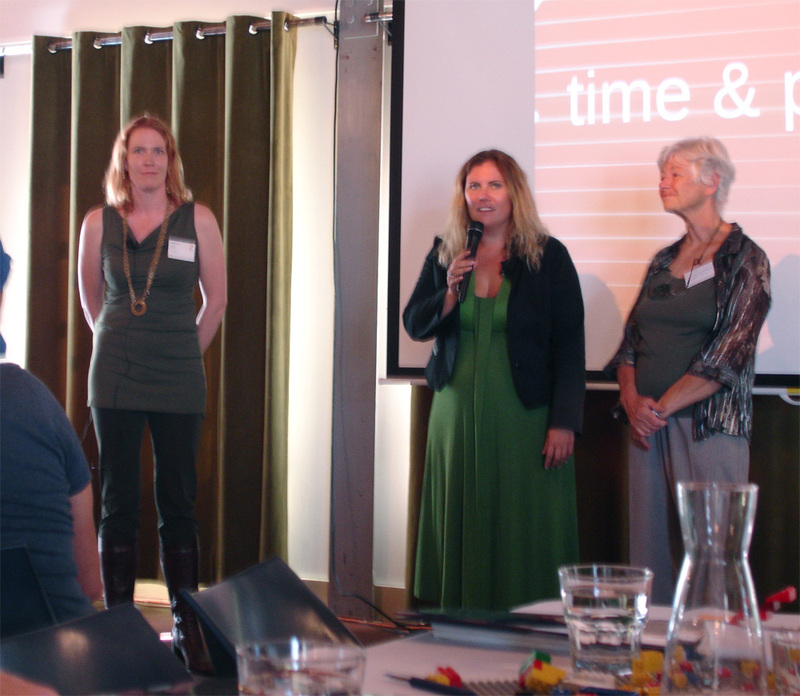 You can find a summary of the workshop here. An initial two day kick-off workshop was held at Augsburg University of Applied Sciences with all project partners (Augsburg University of Applied Sciences, Augsburg University, and University of Waikato) at Sept. 15/16, 2010. 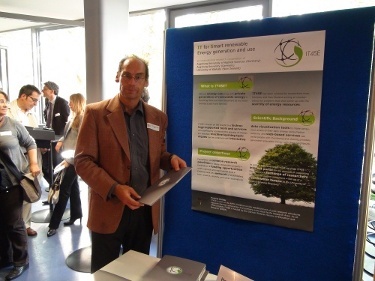 Prof. Dr. Rist presented the IT4SE project at the APRA Workshop in Bonn (Sept. 13/14, 2010). In Sept/Oct/Nov other projects in the area of renewable energy and computer science where evaluated.